File Photo: Kurdish forces in Syria. "Pompeo equating the YPG terror organisation with Kurds, (even) if it is not intentional, shows a worrying lack of knowledge," Turkish foreign ministry spokesman Hami Aksoy said. 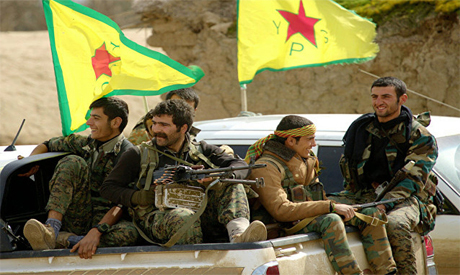 Ankara views the US-backed Syrian Kurdish People's Protection Units (YPG) militia as a "terrorist offshoot" of the outlawed Kurdistan Workers' Party (PKK). The PKK, blacklisted as a terror organisation by Ankara and its Western allies, has waged an insurgency against the Turkish state since 1984. Despite US President Donald Trump's order to pull out 2,000 troops, "the importance of ensuring that the Turks don't slaughter the Kurds" was "still part of the American mission set", Pompeo told Newsmax, a US news and opinion site, on Thursday. Washington has provided military support to the YPG in the fight against the Islamic State extremist group, causing strains between the NATO allies. "We strongly condemn that this terror organisation is seen as a partner in the fight against IS," Aksoy said in a statement. Turkish President Recep Tayyip Erdogan has threatened to launch a cross-border operation against the YPG in northern Syria, vowing that Ankara would never allow a "terror corridor" on its southern border and would rid Syria of the militia. Prior to his decision on December 19, Trump spoke with Erdogan. Turkish officials say Erdogan convinced his American counterpart that Ankara could take care of the remaining IS elements in Syria during a phone conversation on December 14. Turkey has often insisted that it does not discriminate against Kurds as a minority but opposes the YPG militia, which Ankara says poses a threat to national security.